They’ve been everywhere. They’ve seen everything. Let’s find out what the best spots on earth are according to the experts. 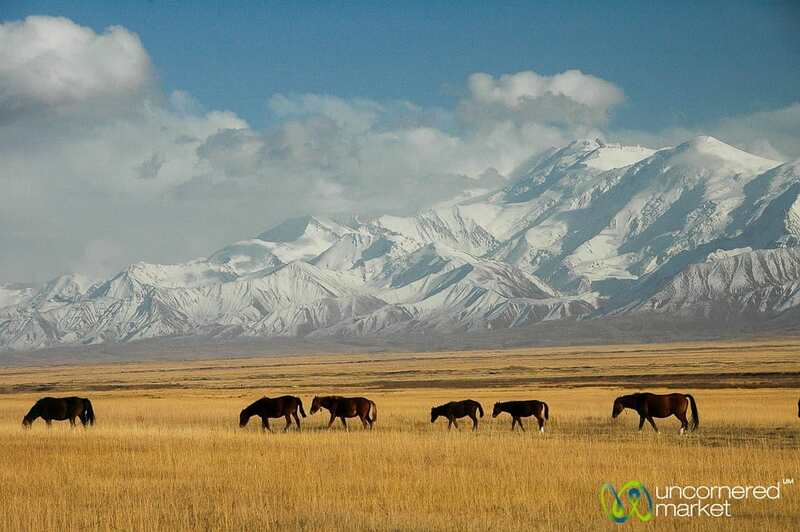 Horses queue up in the fields near Pik Lenin between Sary Tash and Sary Moghul, Kyrgyzstan. The Pamir Mountains is one of more remote and stunningly beautiful places we’ve ever been, and this remains one of our favorite road trips of all times. Not only were we mesmerized by the high mountain and desert landscapes around us, but we were also repeatedly humbled by the hospitality of people we met. As most of this route does not have traditional hotels, we would stay in simple family home stays and this cultural element really added a unique dimension to this trip. 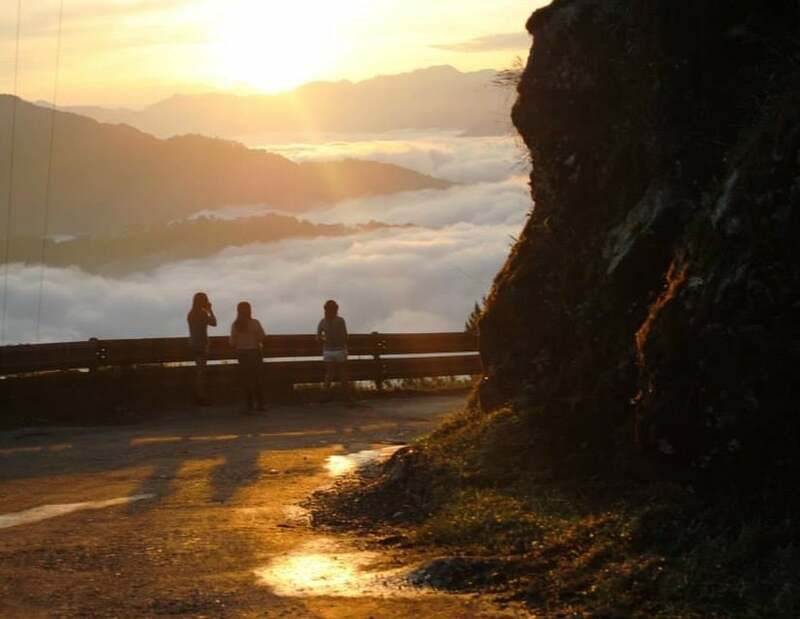 My favorite place on Earth is Sagada, located in the Mountain Province, Philippines. The sunrise above the clouds is one of the most surreal experiences I’ve ever had. It’s one of the many things that keep me coming back for more. 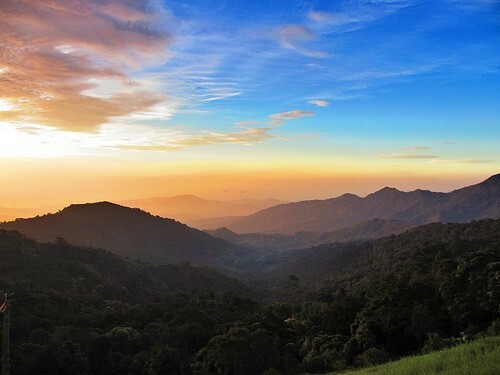 My favourite place on earth has to be Colombia. 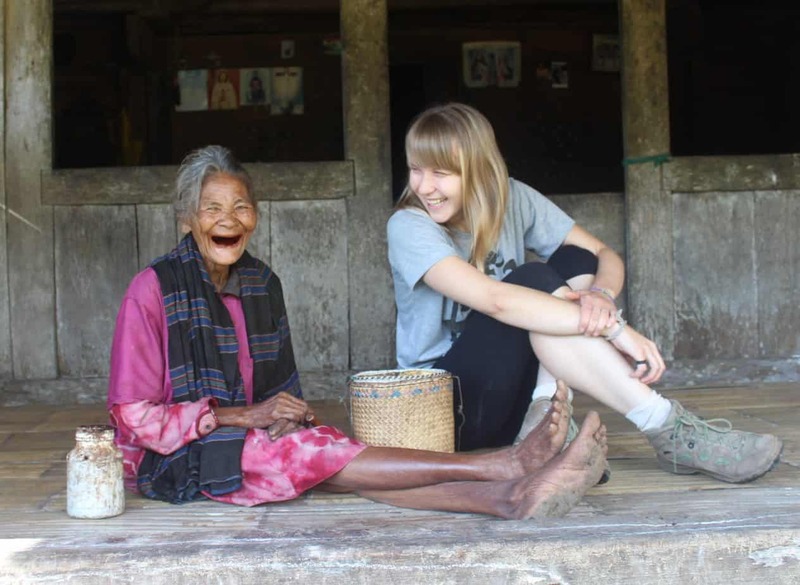 I was so nervous about travelling through the country alone before arriving, but before I knew it I fell head-over-heels for the wonderfully kind people, the beautiful scenery and the indescribable awareness that I just seemed to fit in. I’ve been back to Colombia three times now, and every time I fall for a different element or another part of the country. More than that, though – Colombia represents the pride I have about being scared to go somewhere but doing it anyway! We’ve seen a lot of cities in Europe but our favorite place in the world will always be Paris. The city is simply magical — especially at night when the monuments are beautifully illuminated. But Paris is most special to us because it’s the city where we first lived as a married couple. 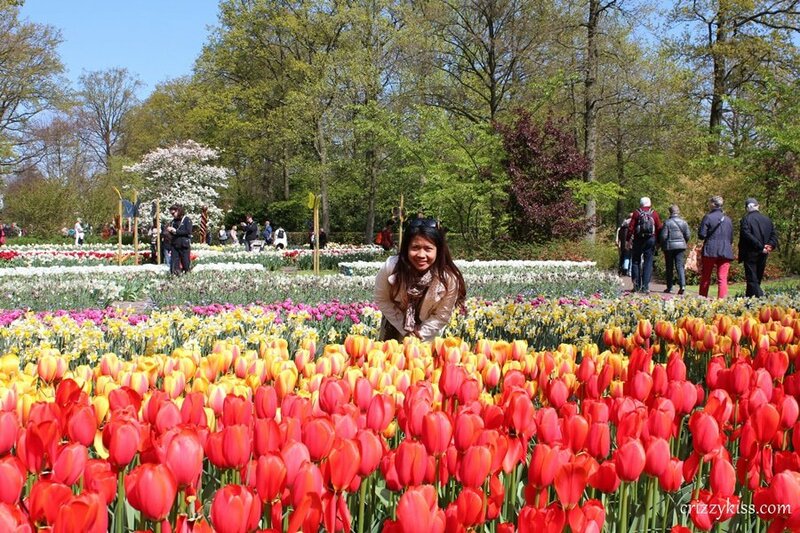 Experiencing the tulips in Holland at Keukenhof Park was almost unbelievable! 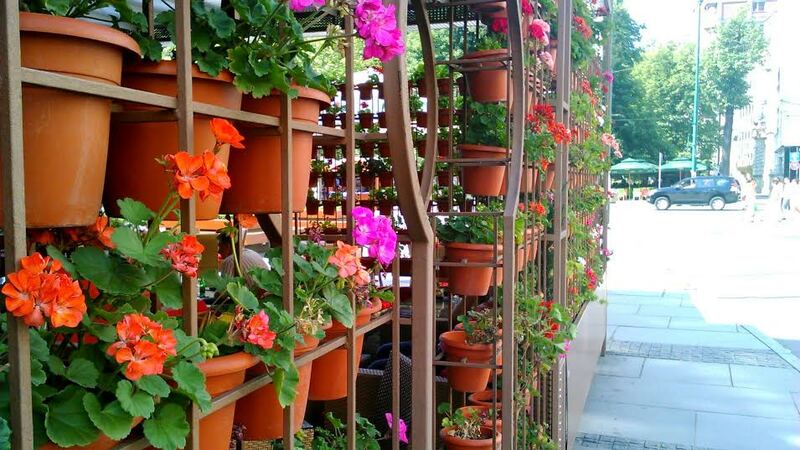 Nothing compares to a walk in park where thousands and thousands of flowers in full bloom. It was just so fascinating! Away from the “real world”, Neil Island is a tiny paradise island with empty white sand beaches and the bluest water that I have ever seen. This is one of the most remote parts of the planet and there is usually no cell phone connectivity here. This place charmed me with its stunning beauty, simple village life, extremely polite (and sweet) locals, amazing seafood curries and simple village life! I would love to live here. 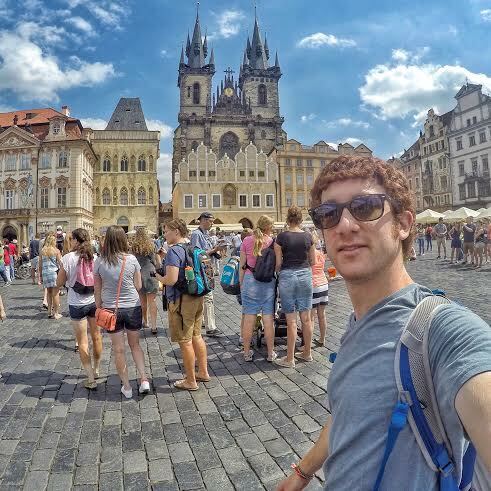 Prague is my favorite place in the world. I studied abroad there for 5 months in 2012 and that was my very first trip overseas. 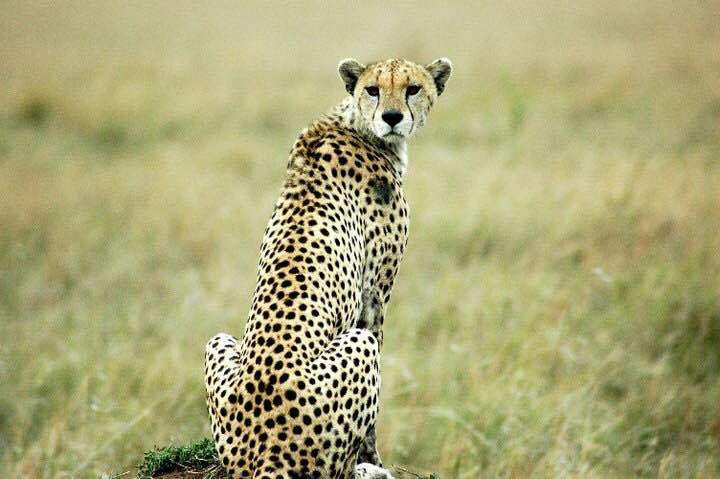 I spent 17 years of my life in a beautiful country called Tanzania in Africa and that is why it is my favorite place in the World. In addition, wildlife here is phenomenal. Many destinations like Mount Kilimanjaro, Serengeti National park, Ngorongoro national park, Zanzibar etc are world famous. 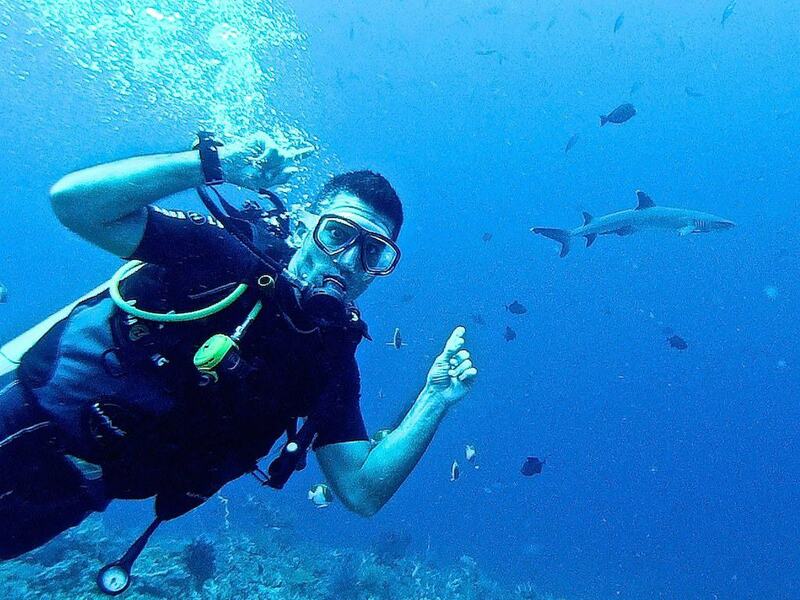 We love scuba diving and The Coral Triangle reefs in the Komodo National Park is a paradise for divers. We went diving here in September 2015 and were completely spoilt, seeing reef sharks, turtles and a plethora of tropical fish in every single dive. It’s absolutely stunning and blew away all our other diving experiences. 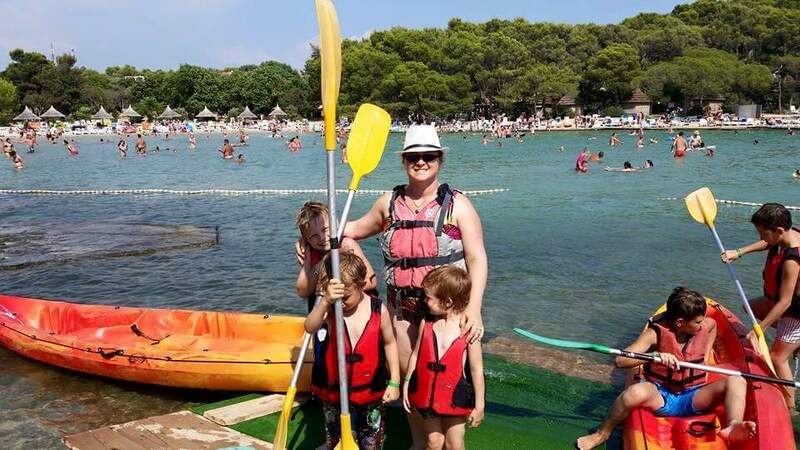 My children and I’s FAVORITE place (at the time being) has to be Croatia. Why? My kids absolutely loved it and they keep talking about it! We stayed at Pine Beach Eco Resort (all inclusive) in Pakostane. We stayed there the entire time. The resort had so many amenities such as their GORGEOUS beach, kayaking, kid’s club and a high ropes course. It was a very relaxing resort. The Bay of Kotor – a huge, winding bay at the northern end of Montenegro’s coast – is nestled in amongst the mountains, giving its still waters an incomparable tranquility, and making its scenery utterly breathtaking. Dotted around the edge of the bay are many small towns and villages, all equally picturesque, built in light coloured stone. The Bay of Kotor has a blissful serenity that would be difficult to spoil; that is why it is my favourite place on Earth. 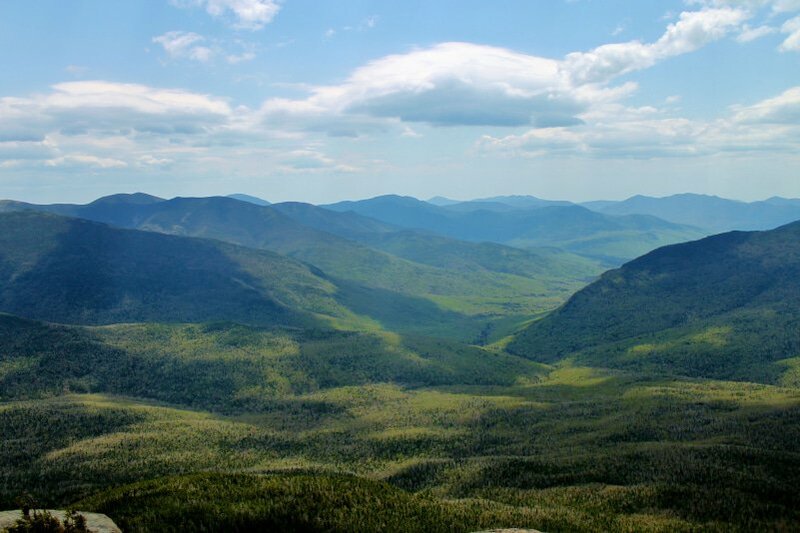 The White Mountains of New Hampshire are my favorite place in the world and where I hope to make my home one day. I breathe deeper, experience a sense of relaxation and peace in the woods of New Hampshire. With so much wildlife, waterfalls and mountain trails I may never see all of it but I will never stop trying to see it all! 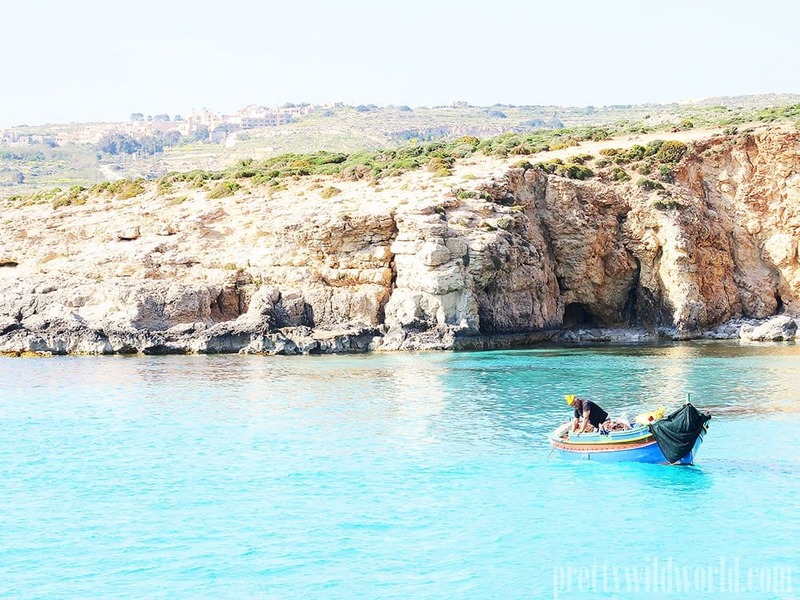 Malta & Gozo is a small country near Sicily of Italy – small but certainly beautiful. Fiesole is a little scenic commune at an elevation of about 1,000 Feet and offering breathtaking views of the city of Florence. The sheer beauty of the place which is a heady concoction of the best of nature, art and architecture is sheer luxury to the senses. Surely the great masters of the Reinassance must have drawn inspiration from this lovely place. As you walk through the town and marvel at its beauty, you can almost feel the spirit of the great masters like Da Vinci, Michel Angelo, Galileo and many others. If you want to walk into a fairytale then step into Fiesole. They say once you’ve been to Sahara, you always want to go back and it’s true! 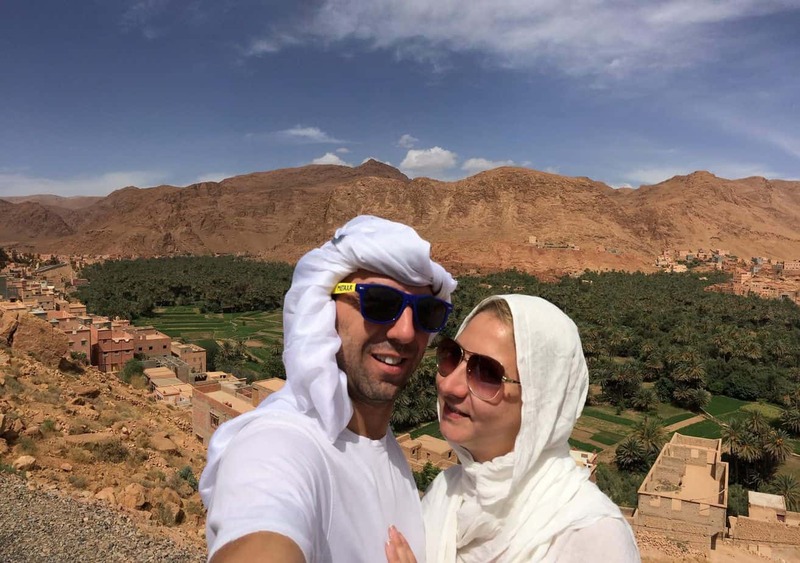 Do you want to discover the second highest African Mountain – Atlas, drive through amazing valleys and river canyons, ride a camel across the desert and at the end sleep under the stars in the middle of Sahara? Then don’t miss out on these experiences in Morocco! 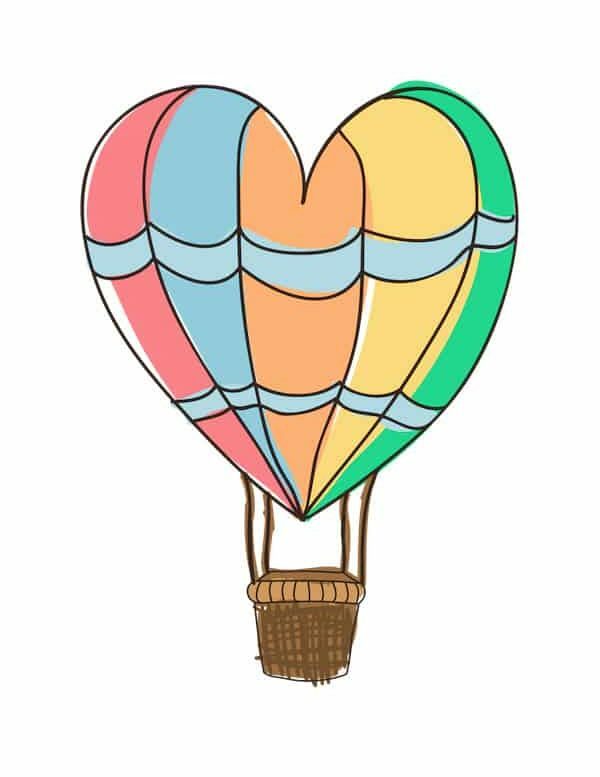 We have to admit this is one of the most amazing things we have done so far! My favourite place on earth has to be Iceland. I know that it’s an entire country, but every corner of it takes my breath away. I was only there for the first time recently and it is already my favourite place in the world. Where else can you sit in a hot spring sipping a cold beer, watch geysers shoot water 100 feet into the air and chase the most stunning waterfalls from dawn til dusk? Iceland, that’s where! Jamaica will always be our favorite place on Earth, as this is where we got married! Not only is this where we spent our first week together as a married couple, but the warm, tropical beaches and the wonderful culture that surrounds Jamaica, really make this island such a treat. 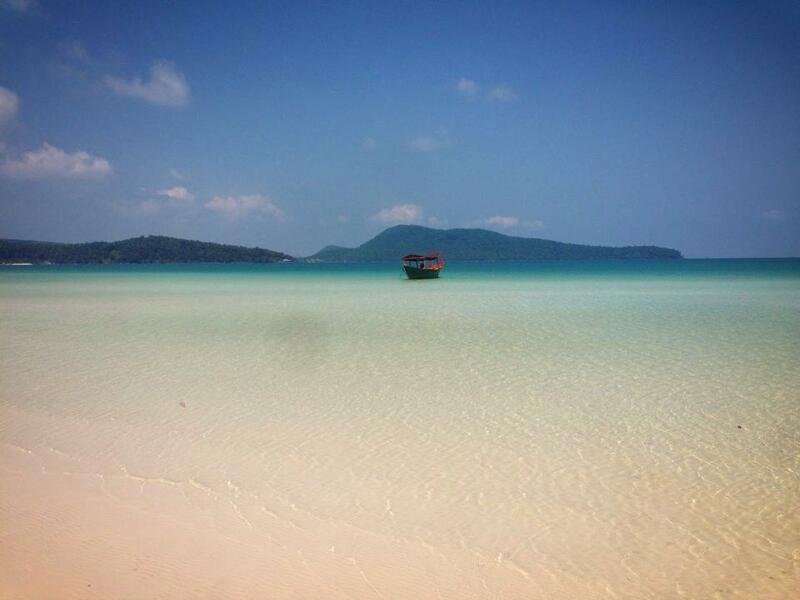 My favourite place in the world in Koh Rong Samloen, a small Island in Cambodia. 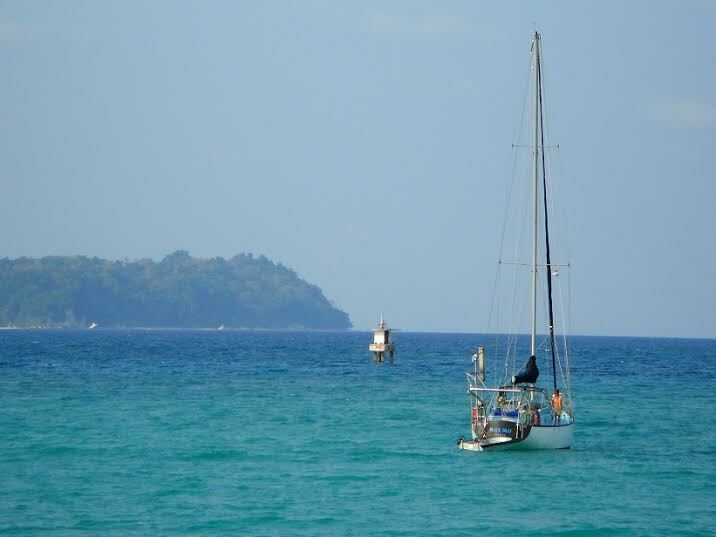 Just a 30 minute boat ride from it’s popular neighbor Koh Rong, Samloen is an island paradise. It has no WiFi and the electricity is run off a generator for only a few hours a day. It has one bar and one shop with a few guest houses that line the beach. 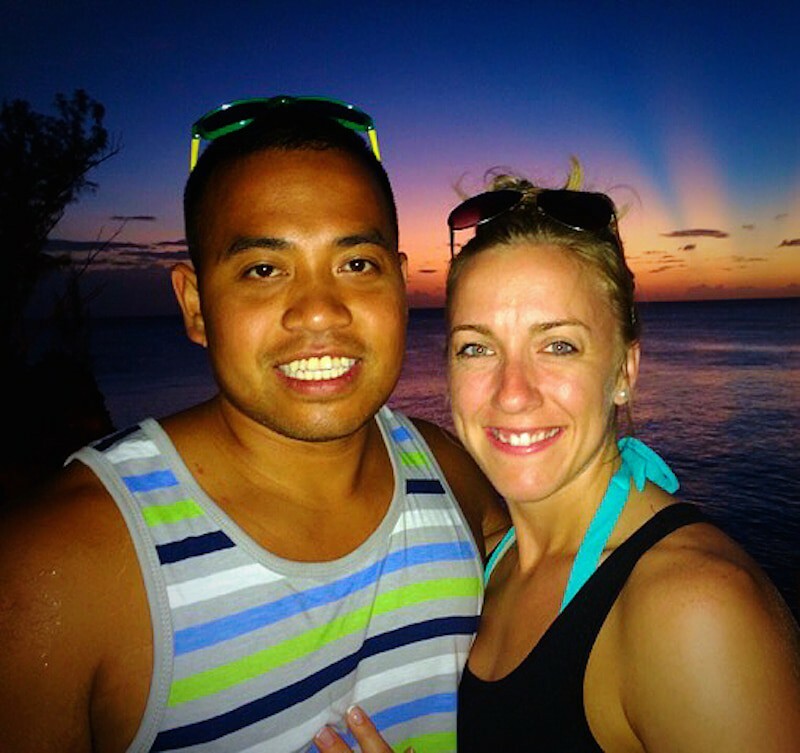 We camped in tents on the beach and spent the days exploring the island and relaxing on the beach. Be careful at night as the farmers let their herds of Water Buffalo roam the beach. Bumping into them after a few beers was a bit of a shock. Fortunately you can smell them before you see them! 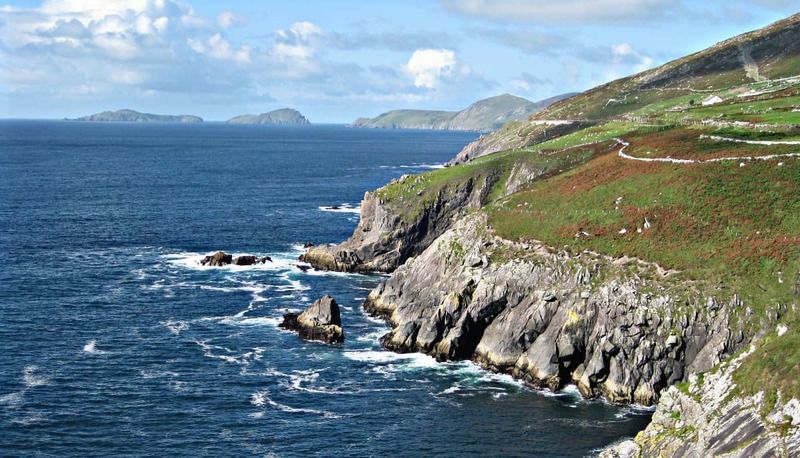 Our favorite place on earth is southwest Ireland. 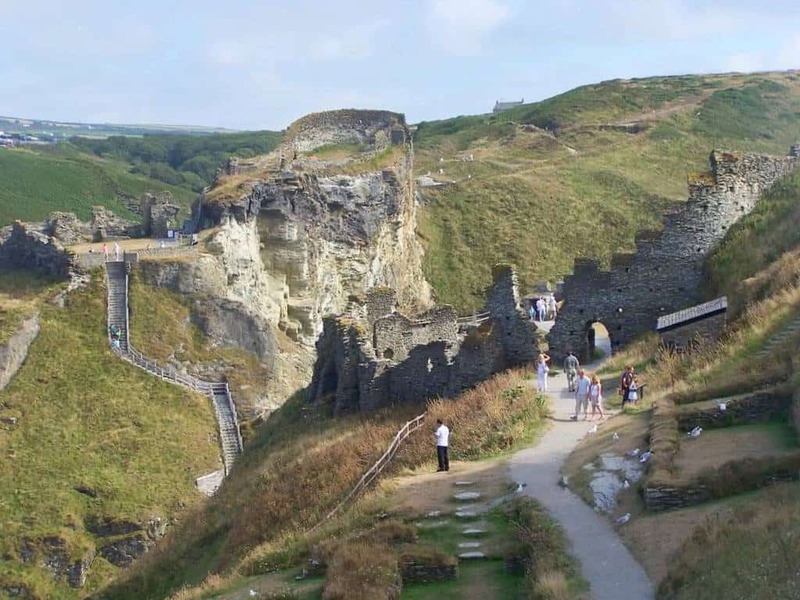 It is a magical area with dramatic cliffs, rolling hills, and romantic castles. We were enchanted by its beautiful landscapes and friendly people. 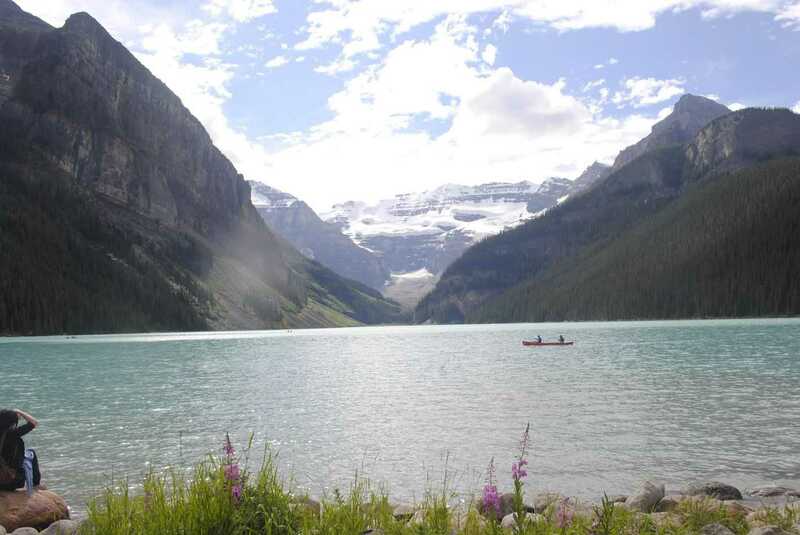 Lake Louise has always stood out to me as one of my favourites. I visited once in the winter, then when I lived in Calgary a few years later a visit back in summer was a must. Covered in ice in the winter and the odd canoe in the summer, but ever peaceful and always beautiful. A tiny picturesque village in Cornwall guards the ruins of King Arthur’s birthplace. As you climb the rugged cliffs over the unruly Atlantic waters, it’s easy to believe that kings and knights once gathered here and that a mysterious wizard lived in one of the caves below. Edinburgh is a city where a grand past collides with an even more vibrant present. The twisting cobbled streets, imposing Georgian architecture and vast amounts of green space make the urban vibe all the more alluring. 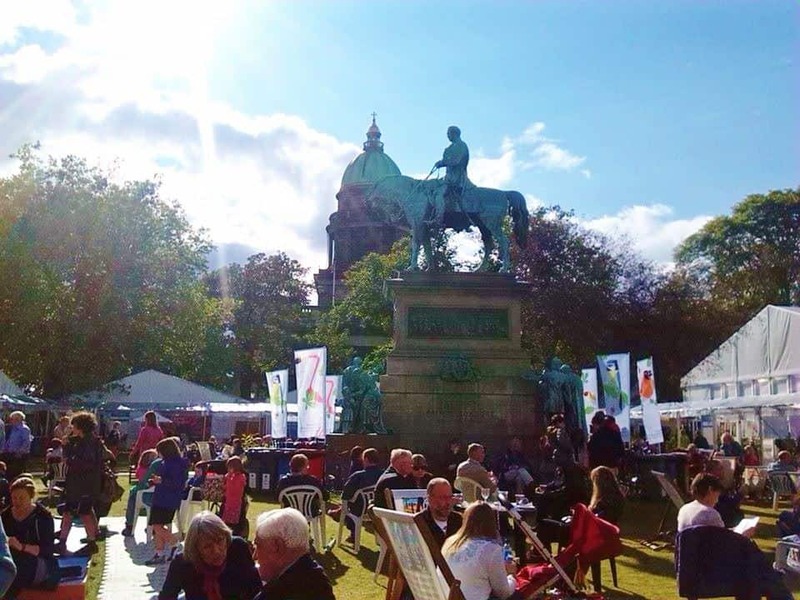 Visit during the Fringe festival, when the cosmopolitan atmosphere is at its best! My favourite thing about Edinburgh (aside from the sound of bagpipes and Scottish men in kilts!) is that it’s so compact: you can walk everywhere! Slovenia is one of my favorite countries. It’s small and yet so diverse, it’s not overrun with tourists, and the nature looks like something taken right out of a fairy tale. 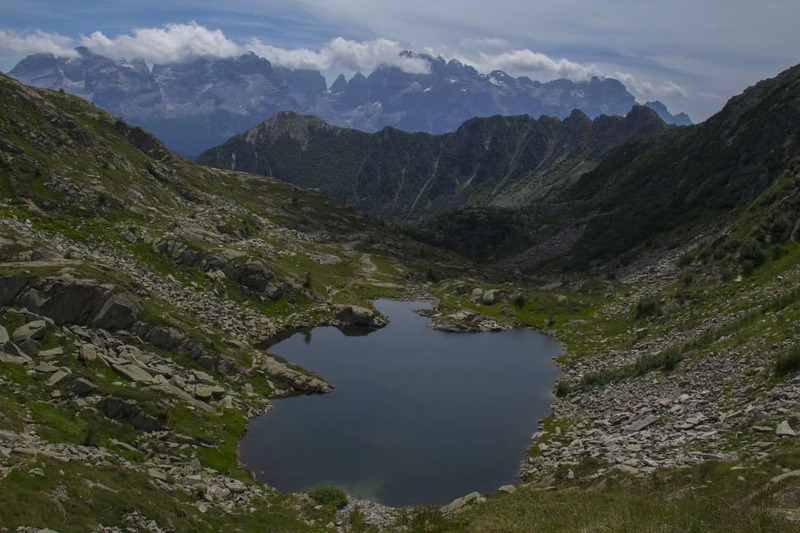 No question, Slovenia is the hidden gem of Europe. I’ve been to countless islands, but nothing beats being in a sand bar in the middle of the Pacific ocean. Surrounded with nothing but azure water, clear blue skies, and immaculate powdery sands, Virgin Island was an instant favorite. We ate fresh uni with our hands, swam and played in the water, and walked (yes, walked) to the middle of the sea. 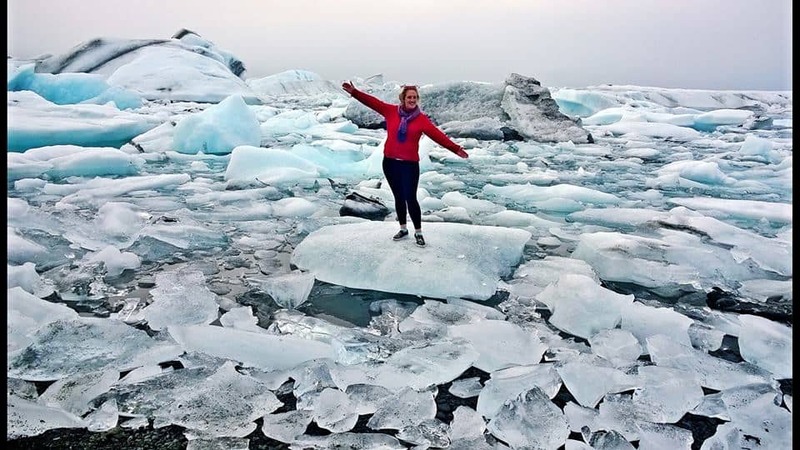 There are so many things to consider when selecting your favourite place, but I think a lot of it has to do with the memories or people you meet while there. 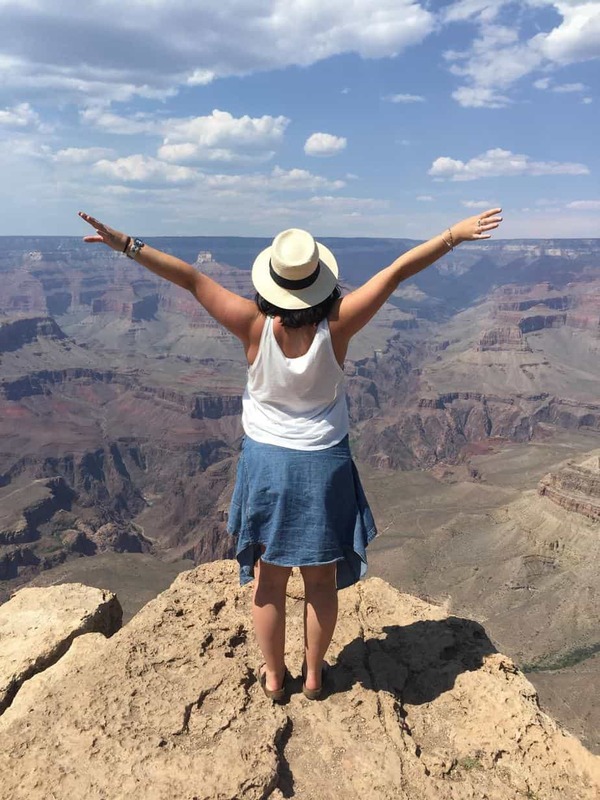 For me it was the fact that The Grand Canyon was the first natural wonder that I had seen, it was the first time that I was in awe of nature, and it was the first time that I felt that my time there felt too short. The moment I set my eyes on The Grand Canyon I knew I would be back, and I knew that I wouldn’t be satisfied until I explored its beauty even more. Cusco is not just about Machu Picchu. 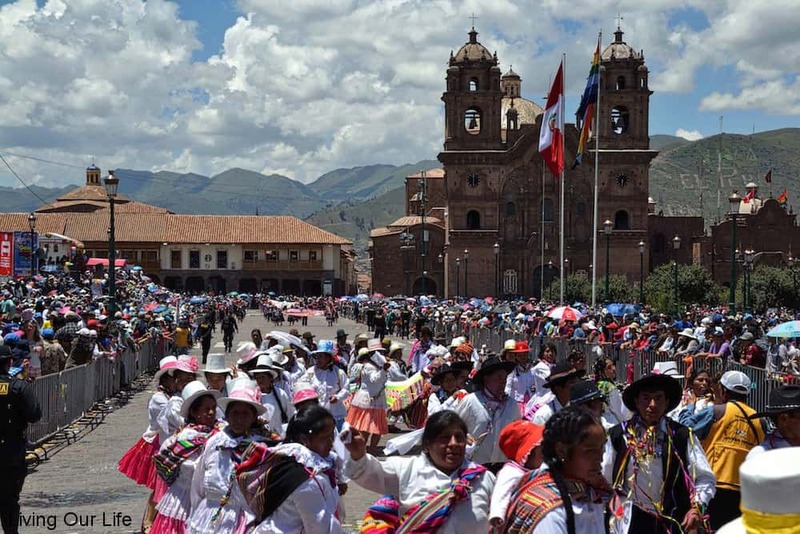 Cusco itself, has many activities that you can do, whether paid or free. With many festivals and ruins that pique everyone’s interest, again whether paid or free, or inside or outside. Cusco is a hub for outlying areas. The people are very friendly and welcoming. Access to all types of food is very easy. You are situated in the mountains and have a temperate climate. We ended up staying 8 months without trying to. 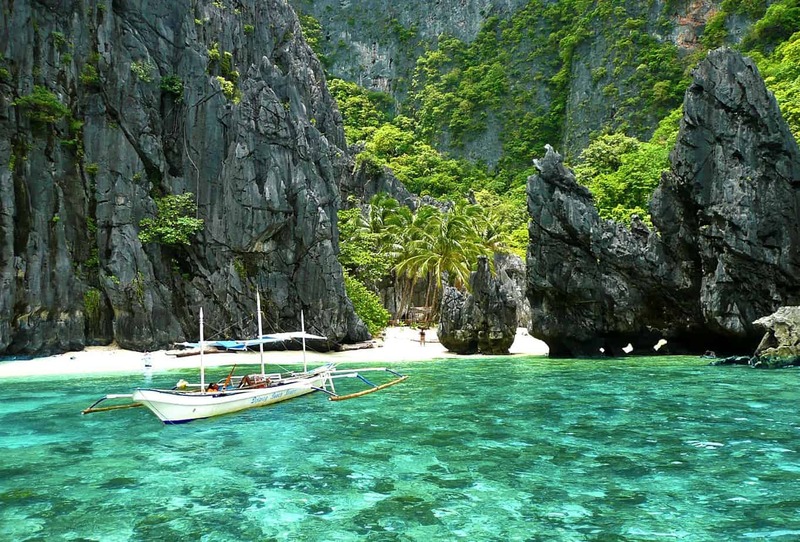 My favorite place on earth is the Philippines. The country is made up of over 7000 islands, so you’re never too far away from pristine beaches. 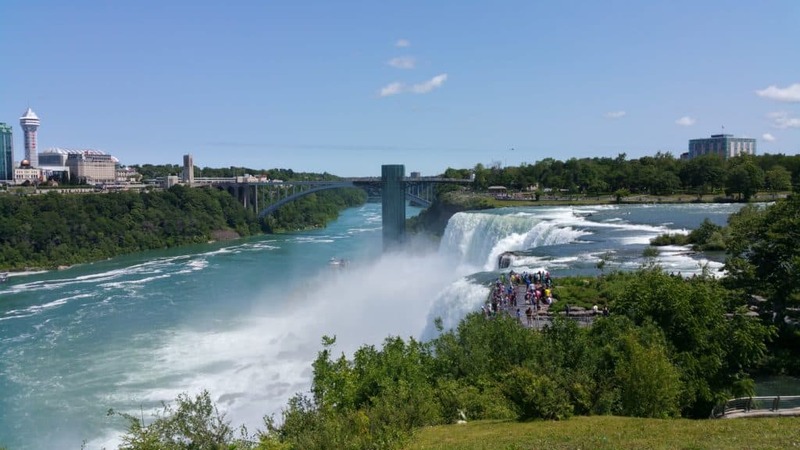 Since I came to United States, Niagara Falls was first in my checklist of exploring the places in the United States. When I saw the Niagara Falls for the first time, I was mesmerized by its natural beauty. It was magnificent, powerful, beautiful, splendid, surreal and hypnotic. Any of these adjectives could not be sufficient to describe the ‘glory’ of the majestic Niagara Falls. I had an amazing experience with the Falls. Despite having been travelling for 19 years and visited over 70 countries I am always happy to return to Madonna di Campiglio a small mountain resort that nestles in the Dolomite Mountains. 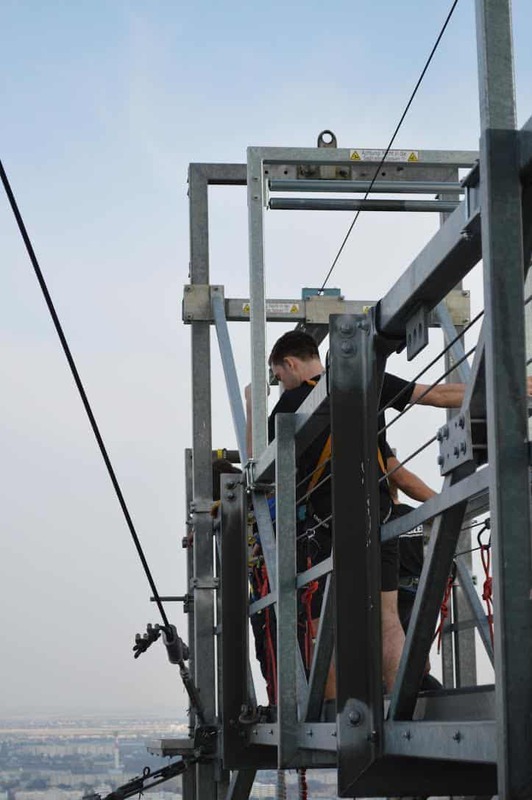 The skiing in the winter is great, tree-lined slopes dotted with cosy restaurants and the walking in the summer is amazing. But best of all – I always feel at peace there. I was in a Tourism Office when I saw this magazine. 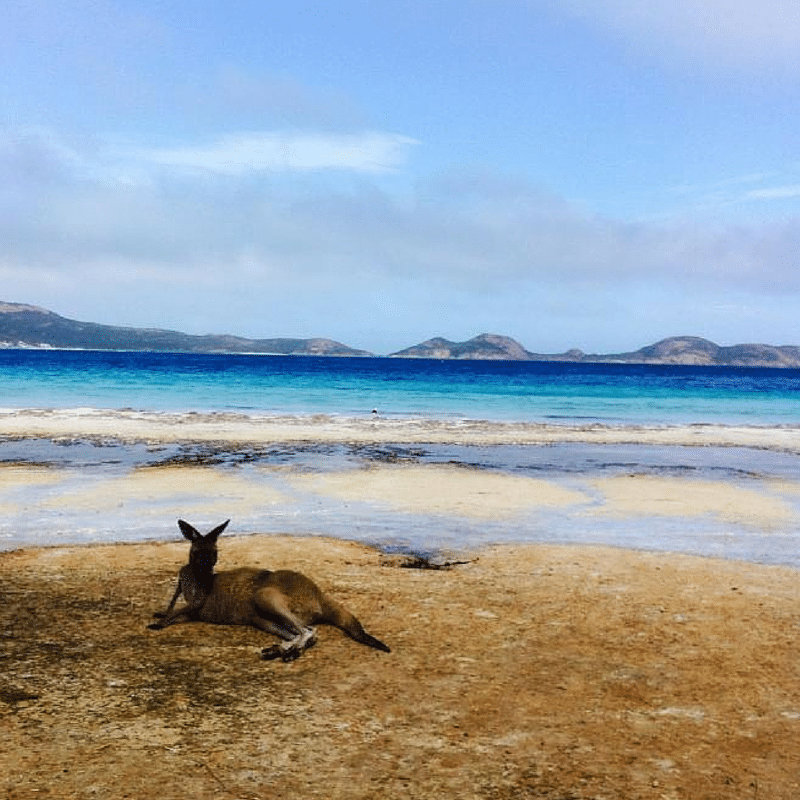 On the cover; one of these famous kangaroo getting a tan on a beach. I was even more in love when I met these lovely creatures on a white sand beach with a perfect turquoise water background. ou can choose to roam the mountains, beaches, round houses and more. It’s the perfect place to hike, to surf, to chill , to relax or to simply just have a good time. If only the roads were a lot better though. Nonetheless, it’s still worth the trip. 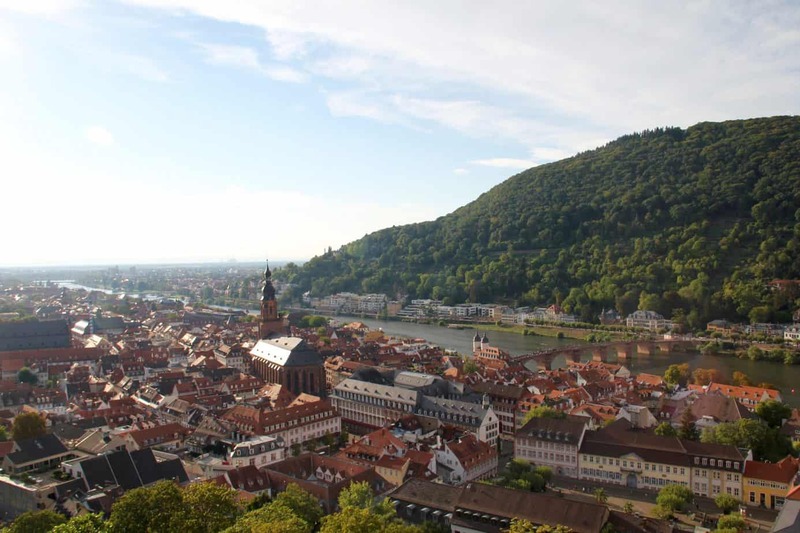 I am studying abroad in Heidelberg, Germany, a romantic town that sits on the shores of the Neckar River. There have been so many memories made in this town that it will always hold a special place in my heart. From 3 euro liters of beer to the long walks up the castle walls, Heidelberg is a place that will make anybody fall in love with Germany. My favourite place in the world is Donauturm in Vienna. This forest is essentially something out of a fairy tale from May-June every year. 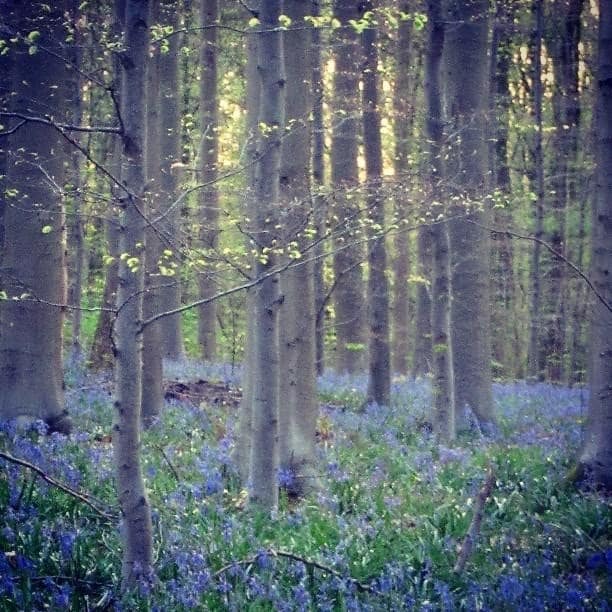 Thousands and thousands of bluebells blooming in lush green grass…it’s just such a peaceful place to be. You can walk, hike, bike or even horse-back ride through the miles of trails in this forest. If you visit Mykonos and don’t fall in love with it, you’re a lunatic. 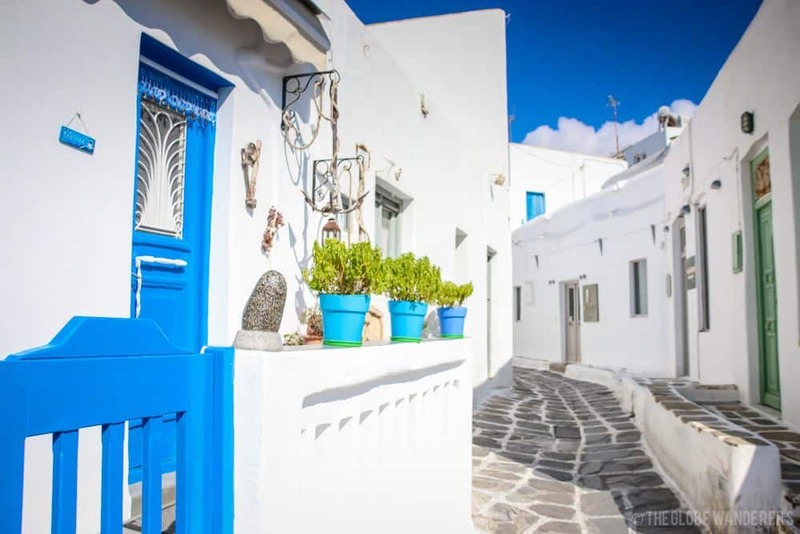 The whitewashed walls, maze-like streets, beautifully friendly people and utter food-heaven around every corner will knock your socks right off. This island is so charming, it has our hearts and it will take yours too. Cambodia was instantly a favorite of mine. There’s something about the way incense smells when you step into a temple, the beautiful offerings on display & unbelievable sculptures and paintings . 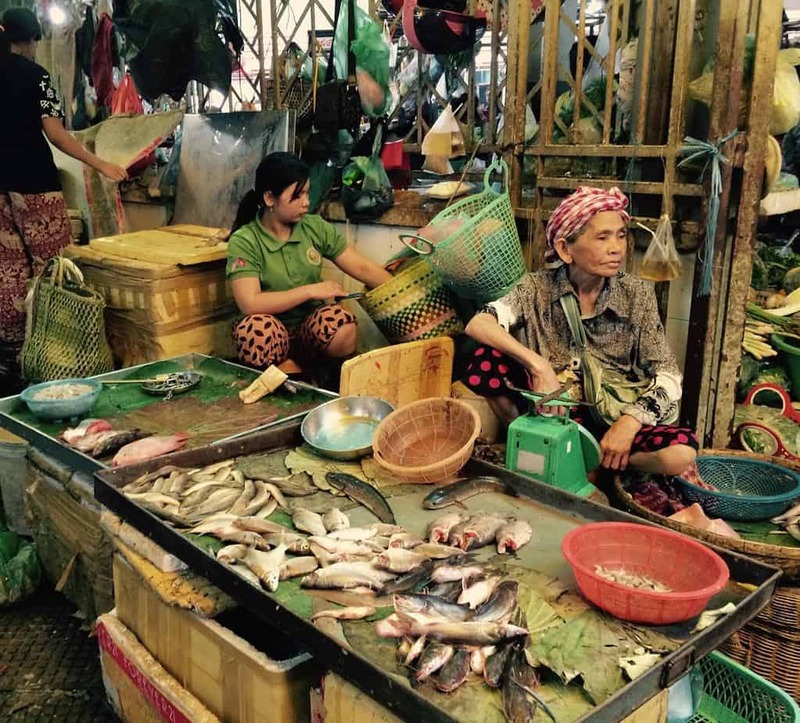 An afternoon stroll through a market is even an experience – barefooted women look over their catches and interact with others. It’s just magic. 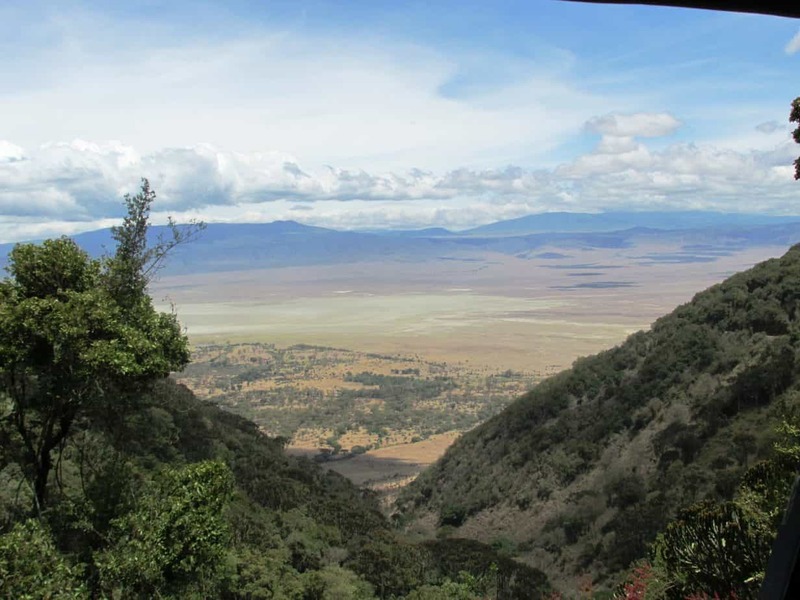 The Ngorongoro Crater is the world’s largest volcanic caldera and the views inside and on the edge of the crater are just indescribable – you feel like you’re in another world completely and the vast landscape really does make you feel like a tiny dot on this big beautiful earth. Home to over 30,000 animals, it’s also the perfect place to feel like you’re in the real-life version of The Lion King and get up close to some of Africa’s amazing wildlife. 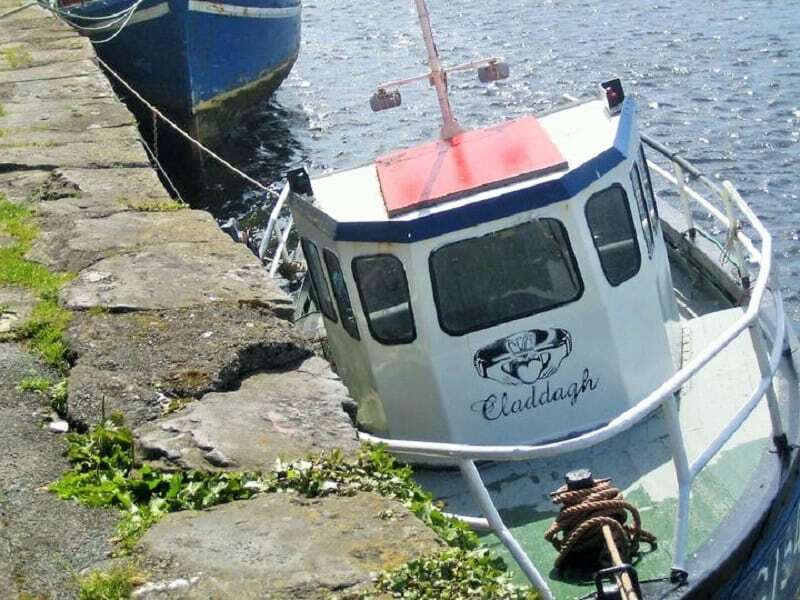 My memories from Galway are a patchwork of unexpected friendships, laid-back charm and stunning scenery. This was the first place I travelled to alone, and I couldn’t have hoped for a better way to be reborn. I love hidden places and authentic local cultures. Friendly locals and beautiful nature. Flores has it all. In the center of this island you can find few preserved Ngada culture villages. They are hidden so deep, that it will take you days and hours and a very skillful guide to get there! This grandma treated me to a local delicacy: a euphoric beetle nut (that’s why her mouth is so red, from the nut). We just came back from Koh Lipe yesterday, twice while we were there Shawn claimed this one little table at Cafe Lipe on Pattaya beach as his favourite place. 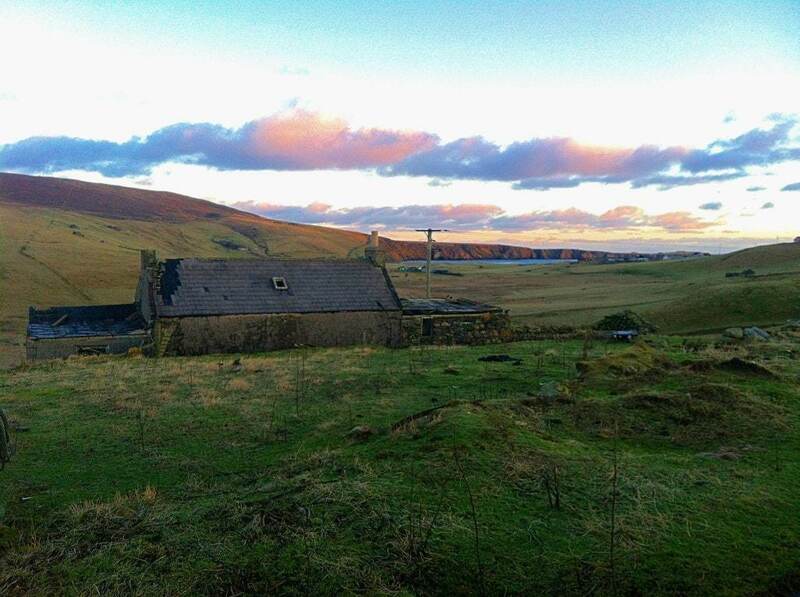 My favourite place on earth is the Shetland Isles, Scotland. Tracing my family history led me to this fascinating group of islands in the far north, closer to Norway than mainland Scotland. I fell in love with the bare but beautiful landscape, broken with the ruins of stone houses abandoned after hard times. There is so much to see, from ancient settlements and stunning beaches to the Up Helly Aa Fire Festival every January. The Shetland Isles make me feel both isolated yet surrounded by the beauty and history of the world. ‘m a civil engineer so am really interested in architecture and Sarajevo perfectly combines the ornate, ostentatious central European style of the 18th Century with the wooden and, to me, somewhat exotic Ottoman style with its cobbles and narrow alleys. I love history and Sarajevo is as tragic as it is fascinating as it has unwittingly been the crucible of some of the most important and disastrous events of the last century. The two architectural styles collide abruptly but the mixing of different ethnic and religious groups is obvious and after talking to friends who live there it appears that the different communities are working together to move forward from the horror of the Yugoslav wars. It is the most cosmopolitan city I have ever been to and I love it! It’s also super-cheap so is great for students like myself. My favorite place on earth is the Netherlands. 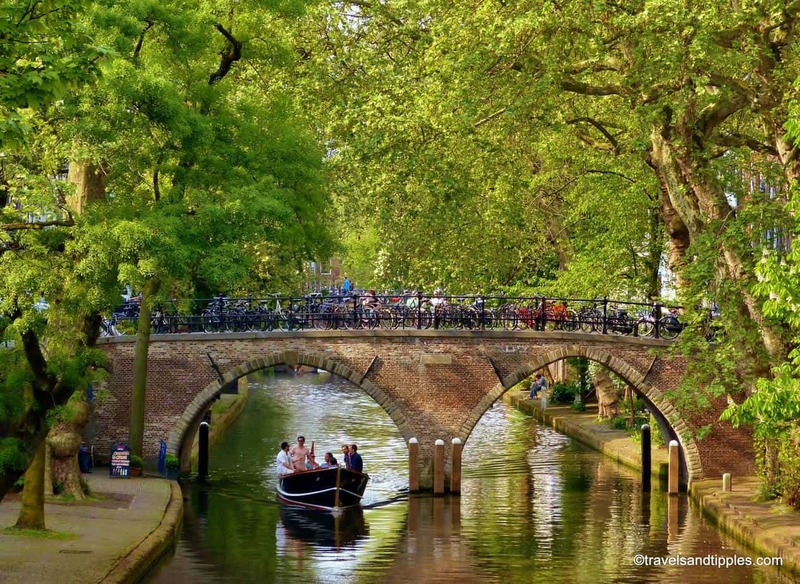 I love everything about it – the canals, the museums, the architecture, the people, the food (cheese! ), the history, the windmills, the live-and-let-live attitude, and last – but not least – the beer! It’s an easy drive for us from Germany and my heart truly soars as soon as we cross the border. 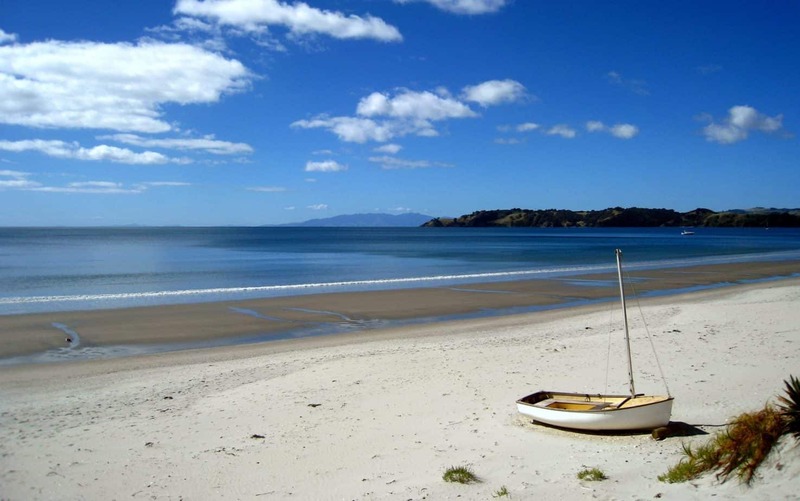 There is something incredibly special about Waiheke Island, right off the coast of Auckland, New Zealand. It’s a tiny island, rolling with green hills and dotted with vineyards, which brings me to my next point–the wine here is some of the best I’ve ever had! Queenstown surpassed my expectations, which were already high. I visited during the fall, and the way the colours were changing throughout the trees on the mountains was so charming and endearing. It’s a place that juxtaposes perfectly a balance between the extreme and the tranquil. 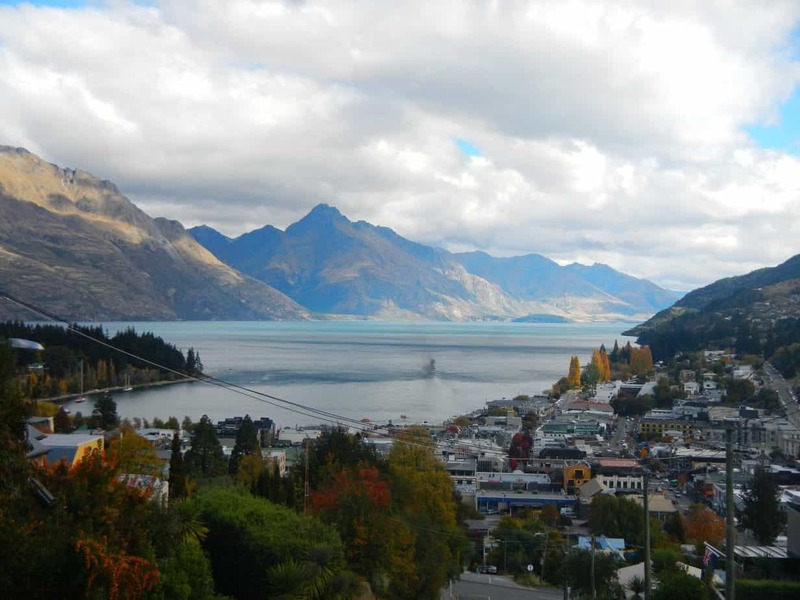 From extreme to serene, whatever end of the spectrum you are in and everything in between, Queenstown has everything to offer. It all depends on how you’re feeling that day. 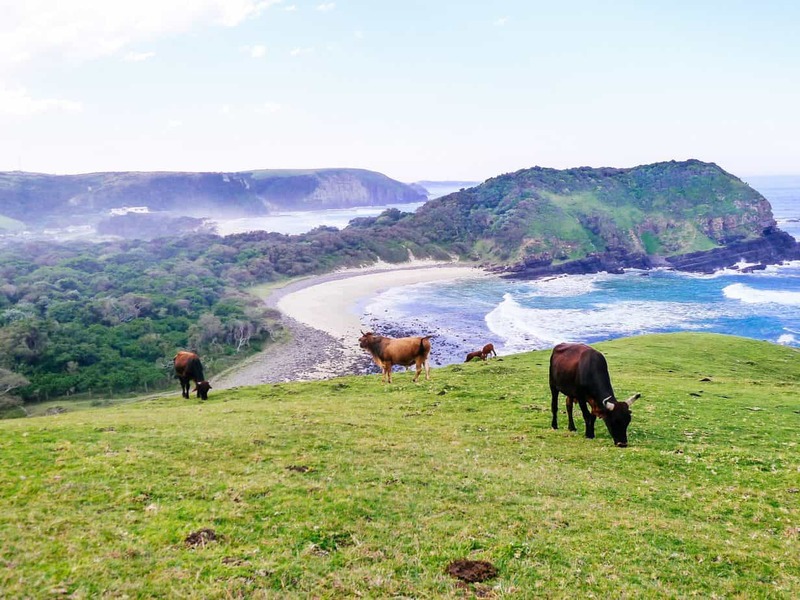 One of our favourite places on earth is Sao Miguel Island in the Azores, because it is ripe with delicious foods, geographical wonders and landscapes straight out of Jurassic Park. We hitch-hiked for the first time ever here, bathed in natural hot springs and even saw wild dolphins and whales! 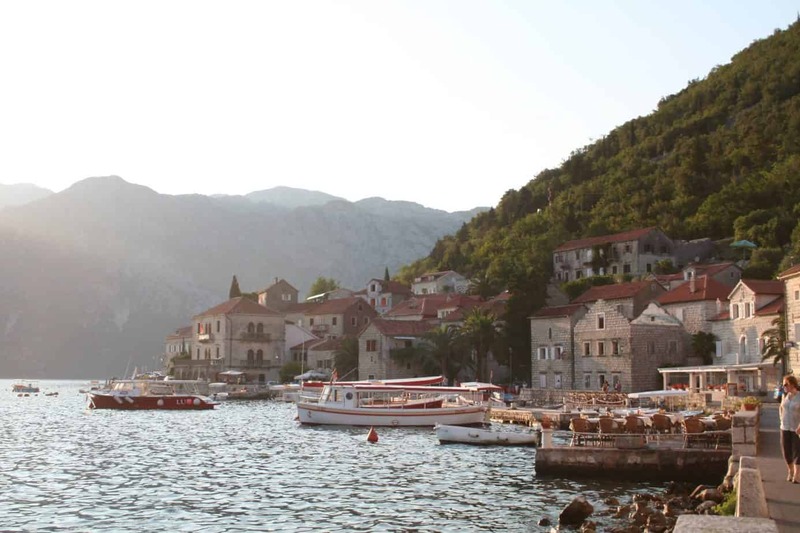 It’s unlike anywhere else we’ve been in Europe and we highly recommend it. This is one of my favorites, if not my best favorite place in the whole world: people are kind, food is genuinely delicious, the weather is mild and landscapes present contrasts that make it dramatically beautiful. It’s like being in the Caribbean but only a few hours away from home. If you live in Europe and you are lucky enough, you can get excellent deals with low cost airlines. Due to all the protections the government has imposed on this place, water and sand are really clean, the environment is protected and there’s no pollution. There are less and less places like this in the World these days. On one side this experience offered us the chance to enjoy a super clean environment, on the other hand it helped us teach our children a good lesson: if you take good care of the environment, you can enjoy a better landscape. I’m in love with Bangkok the way that some people are in love with other..well..people. I love the heat and cacophony and filth of the place, the way everything is either “coming soon” or simmering in hundreds of years of decay. In Chinatown, down the alleyway next to Loftel22 Hostel, where there’s sometimes an old woman selling steamed pork buns and jasmine tea. Whenever I arrive in the city it’s the first place I go, like a pilgrimage. My favourite place on Earth is Horseshoe Bend in Arizona! Horseshoe Bend is a 270 degree horseshoe-shaped bend of the Colorado River, locted near Page, Arizona. The hike to reach this point is 1.5 miles roundtrip, under the hot desert sun, but it is well-worth the trip. Sitting on the edge of the 1,000 foot cliff and soaking in the magnificent view is truly an experience you’ll never forget! My favourite place on earth is Paracas, Peru. It is a small beach town south of Lima and is one of the best kitesurfing spots in the world. It is not too touristy but a lot of backpackers swing by on their way to Lima. In this place, I can write, read, do yoga and be whoever I want to be. 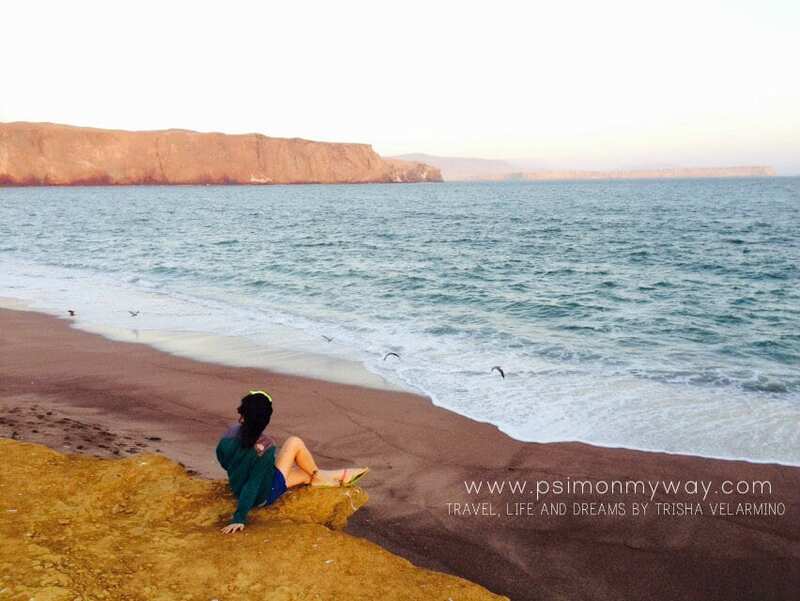 Though it is a thousand miles from where I am from, I consider Paracas as my home. The highlands of Scotland are like nowhere else on earth, mystical, ancient, and unchanging….not to mention beautiful. Scotland is so important to us. It’s where we met. Where we’ve traveled again and again. And it is the place that always calls us home. Whats your favorite place on earth? Let us know in the comments. My favourite places are the Far North of Finland – Ysll Mountain; Sauliac-sur-Cele in Southern France (Lot Region); the city of Rome, Italy; and Mount Kilimanjaro, Kenya/Tanzania …. as you can see I am a fan for mountains and inland areas rather than beaches …. although Diani Beach and Nyali Beach in Kenya are my favourite beaches…. aw what a sweet comment! thanks for participating. I’ll have to get to Fiesole one day!!! Nice Post Amy. Thanks for including me. It is nice to know everyone’s favourite place. Thanks for including me too. You’re welcome! yes, it’s fun seeing what places are special to different people! Thanks a lot for putting this wonderful post together, it’s fantastic to see so many different landscapes and stories featured in one place… Beautiful pictures as well. Thanks for adding my story as well, it was difficult to choose, though, we live in a beautiful World, we simply need to see it through the eyes of beauty. so true Gabi! 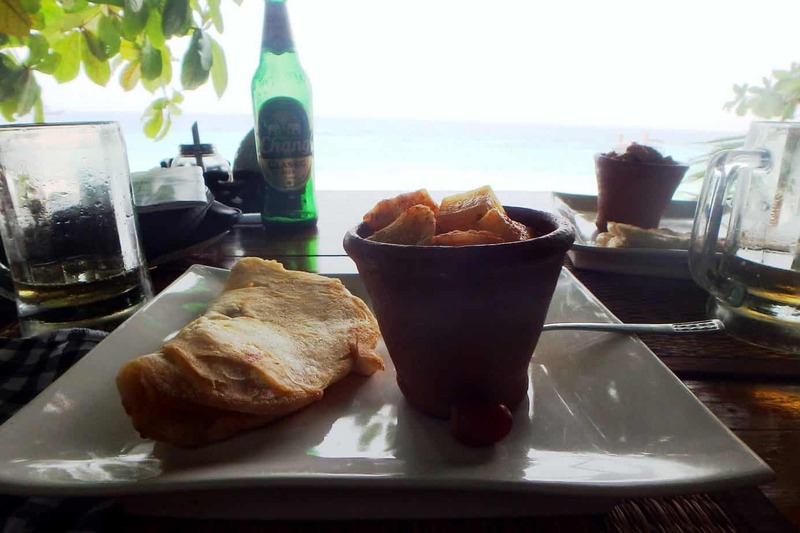 Thanks so much for sharing…loved your Crete contribution. Gosh, there’s an undeniable amount of beauty in he world isn’t there? Totally. Especially because everyone’s experiences are so rich and unique. There’s so much it makes you want to discover. Love the variety in this post! I would say Morocco is my favourite place on earth so far, closely followed by Scotland. What an awesome round-up! Thanks for including me. 🙂 Severely wanderlusting now! hey thanks so much girl! I know, so many amazing places. What an awesome idea for a post. Love everything about this! 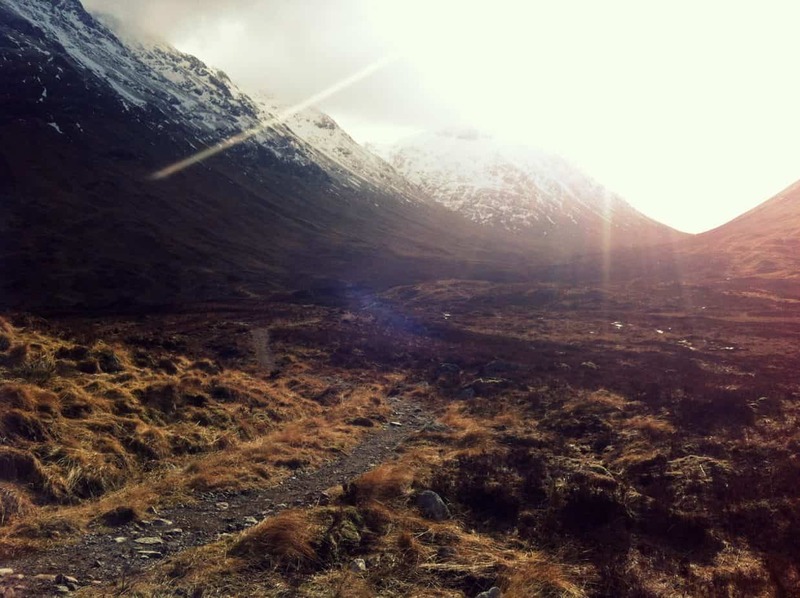 This I am with you on Scotland – Glencoe! Vancouver cuts it too! Its hard to choose a favorite. One of my favorite experiences was Assateague State Park, MD, USA. We drove to the state park…which is on an island off the coast of Maryland. There wild horses are free roaming. They are absolutely the incarnation of “free-spirited”. You see them rolling in the grass, galloping across the beach, trotting near families whom are enjoying the warmth of the sun. The weather was lovely and the wind swept our hair while we watched the horses windswept manes. Another fascinating aspect of Assateaque is that they tried to make it residential in the 1950’s. It had a paved road and they were going to build an island “suburb” on it. The weather didn’t cooperate and the beginnings of the subdivision were demolished. They never tried to rebuild. So there is this beautiful stretch of land that looks like a barren desert with one old wide cracked chunk of road you can walk on. You are surrounded by the most gorgeous gnarled dried up trees that are constantly beaten by the elements and grow to the most intricate dried up beach bonsai. Its truly amazing there. That does sound so cool Kami! I love wild horses and to see them on a beachy area sounds heavenly. We will have to check that out sometime on our next drive north. Yes its a great stop on a trip up the East Coast. We made it a one night pit stop as we traveled up from Hilton Head. We went across the Chesapeake Bay Bridge from VA which was also really cool. Then spent the night on Assateague and spent the next morning and half the afternoon enjoying the wild horses. Best idea ever! We spent one night in a hotel but a lot of people camp in that area too. So so gorgeous! Hope you guys check it out sometime! totally should! We enjoyed the wild ponies at Grayson Highlands in Virginia also! Thanks so much for reading. 🙂 Do you have a favorite place? Nice post guys!!! Even choosing top 10 places would be difficult. So many wonderful places in this world and this post just proves this once again. But if I would have to choose one I would be sticking to Kyoto, Japan. The fact that I get tears in my eyes when I get there shows how special this place is to me…and Japan in general. thanks so much darlin! 😀 It is, great places, huh? Also, one of the mentioned place is Paris but it seems the pic looks like Berlin, Germany. Maybe it’s similar? Not sure! 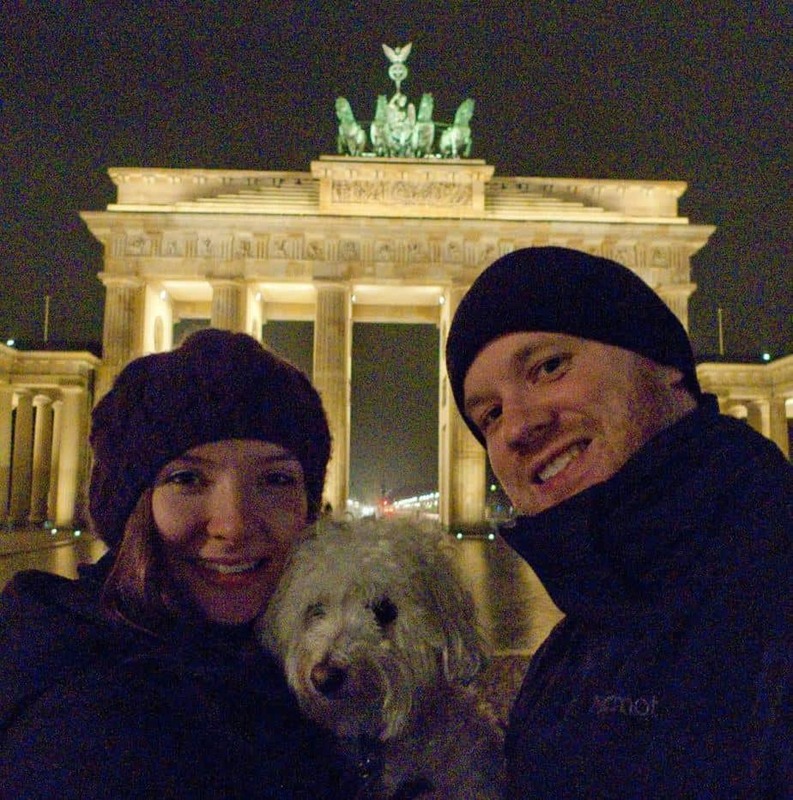 That European architecture lol…..
I’m in my 50’s and have been traveling for 3 years having sold up in the UK. I love Costa Rica, specifically Puerto Viejo on the Caribbean side. A cool relaxed little town surrounded by national parks, beautiful beaches and amazing people. I ended up spending 4 months there! I have a passion for traveling and prefer villages and nature to cities and tall buildings when I travel. My favorite place ever is the Cinque Terre in Italy. The day I spent there, I took trains and boats to see the five villages and wow I fell in love! We walked with our dress on and a bathing suit under it and would just jump in the water as we were visiting and continued walking and discovering beautiful landscape and the water is an amazing blue! It was better than I could ever imagine. that sounds amazing! We would love to go there! 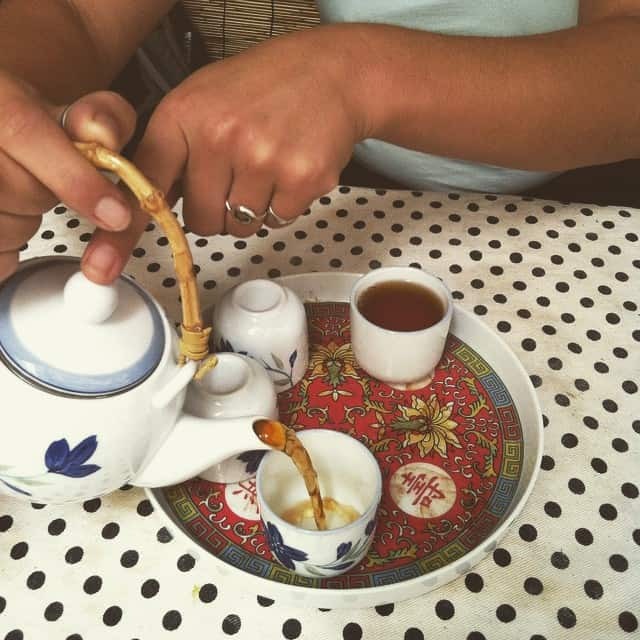 You should write about Vietnam. There are a lot of beautiful places there! The childrens Indonesia always said “The power of Ema” (Ema = Madam, mom or Grandma)..
Wow! I’m so jealous of your list! Me and my girlfriend live here in Costa Mesa and are just saving up for our next trip (we’ve narrowed it down to either Thailand or Cambodia). What an awesome list. Have been to some and some I have now put on my must go to. I have so many favorite places. Paris is my love. France has so many amazing places to visit. Lets just say Europe. If that isn’t enough, the puppy bowl 2019 live stream usually begins with a “tail” gate pregame show at 2PM ET before the main event kicks off at 3 PM ET. And, of course, you’ll definitely want to stick around for the Kitty Half-Time Show (it’s the cat’s meow! ).